While many Vanity Hall products reflect modern living and style, our appreciation for classic design burns strong. The pieces in our In-Frame Collection embody time-honoured rules of classic design such as creating a focal point and using symmetry to create a real sense of balance. Of course, quality materials are equally vital, which is why we insist on handpicking all of our own. Solid timber frame and door panels with real wood veneer panels. 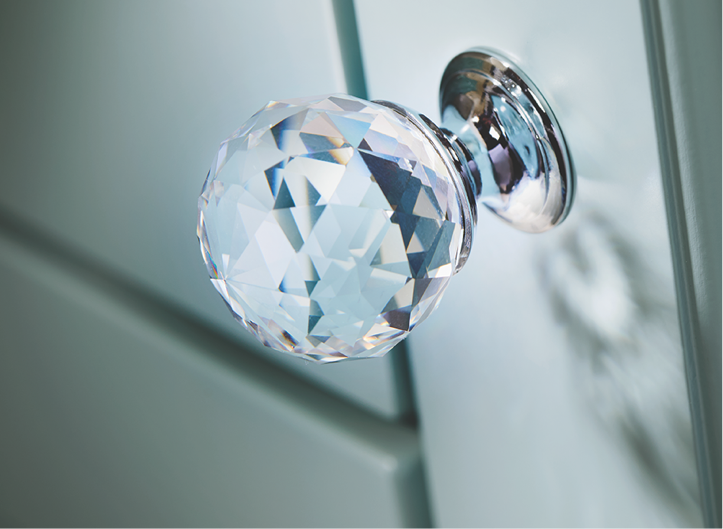 All finishes are tailored to your specific requirements. 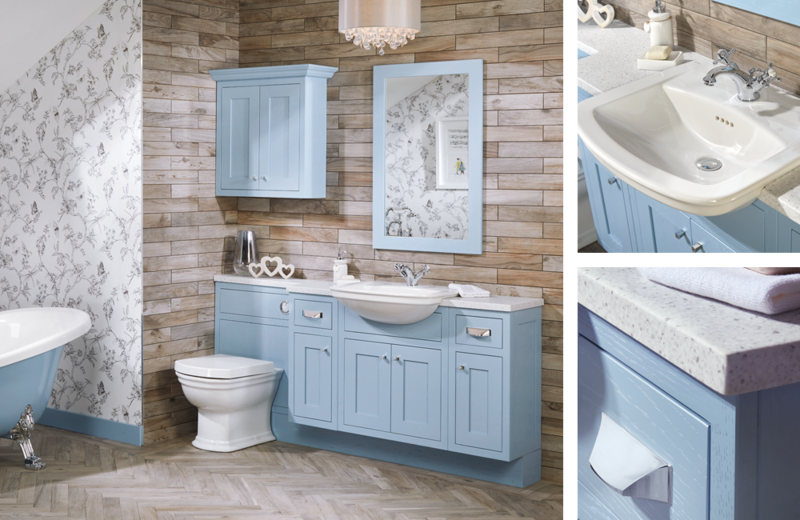 Such a pretty bathroom, Powder Blue furniture co-ordinates beautifully with the freestanding slipper bath. 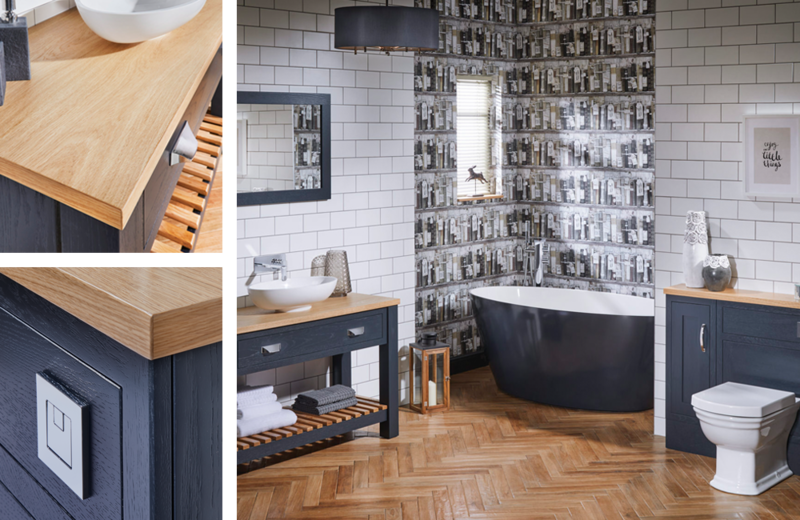 The in-frame washbasin unit, with a Richmond semi-recessed basin both delights the eye and is functional too, providing plenty of storage for toiletries. Nothing beats the classic look of Oak and crisp white. A wall hung double drawer unit with a contemporary sit-on basin and oversized mirror looks sensational offset against the onyx marbled tiles. 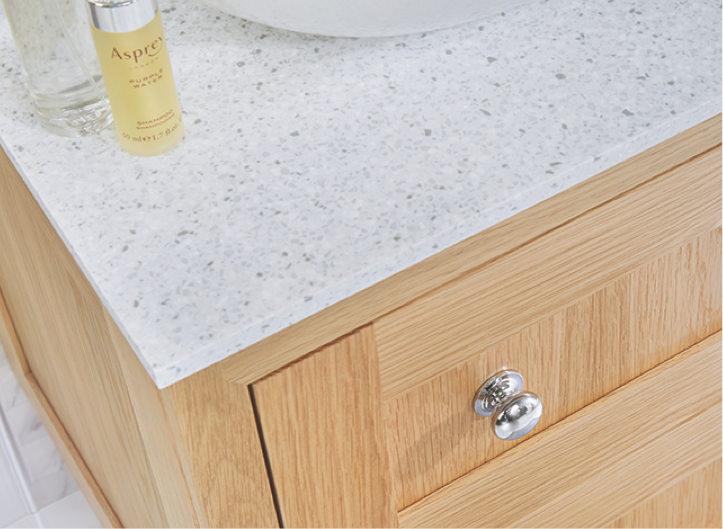 A simple chrome knob handle and Corian Silver Birch solid surface worktop add to the simplistic charm of this en-suite bathroom. Contemporary looks combine with sleek styling in this large en-suite with twin washbasins. A framed mirror spans the overall width of the washbasin units and centrally positioned three drawer unit. The Corian worktop in contrasting Silver Birch features under counter ceramic basins, adding to the minimal, sleek looks of the Steel Grey units.